A Russian Soyuz rocket is set for liftoff on Sunday from the country’s primary military launch site at Plesetsk on a mission to replenish the Glonass navigation satellite system. 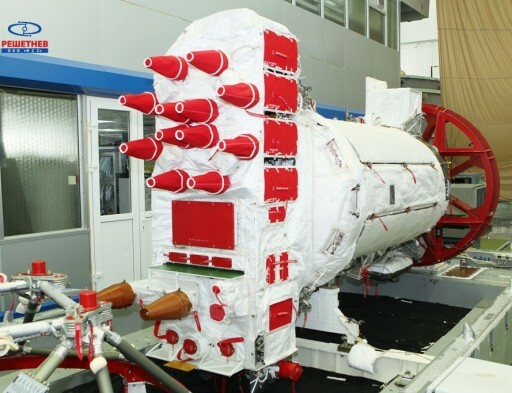 Maintenance of the Glonass system has been transitioned to a launch-on-need system, delivering new satellites to orbit when older spacecraft need to be placed into retirement or show signs of degradation. Soyuz, flying in its most-powerful 2-1B version, is set for liftoff from the Plesetsk Cosmodrome at 8:44 UTC to mark the start of a nine and a half-minute ascent mission by the Soyuz booster before handing off to the Fregat-MT upper stage to complete a flight of over three hours to lift the Glonass-M No. 53 satellite into Medium Earth Orbit over 19,000 Kilometers in altitude. As has been common with launches from Russia’s primary military launch site, no pre-launch status updates were available in the run-up to this mission. 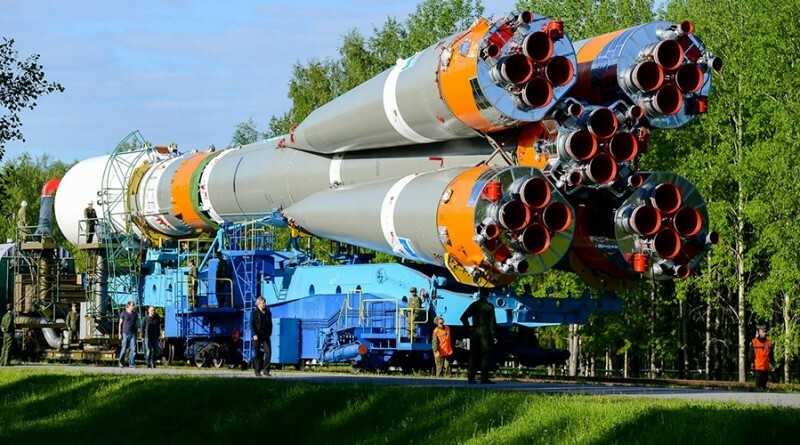 The only source of information on the upcoming launch came forward in the form of navigational warnings published to warn of falling rocket debris along the vehicle’s expected ground track. Sunday’s flight will be the second Soyuz launch in support of navigation this week after the workhorse successfully delivered a pair of Galileo satellites to orbit on Tuesday for Europe’s independent navigation satellite program currently undergoing deployment. Glonass is similar to the American GPS and European Galileo systems, operating a series of satellites from three planes in Medium Earth Orbit, constantly sending navigation signals so that receivers can use signals from multiple satellites to calculate their three-dimensional position. A total of 24 satellites, eight in each of the three planes, are required to guarantee global coverage, 24 hours a day. Typically, spare satellites are kept in each of the planes to take over in case of issues with one of the other spacecraft and ensure the continuity of services. 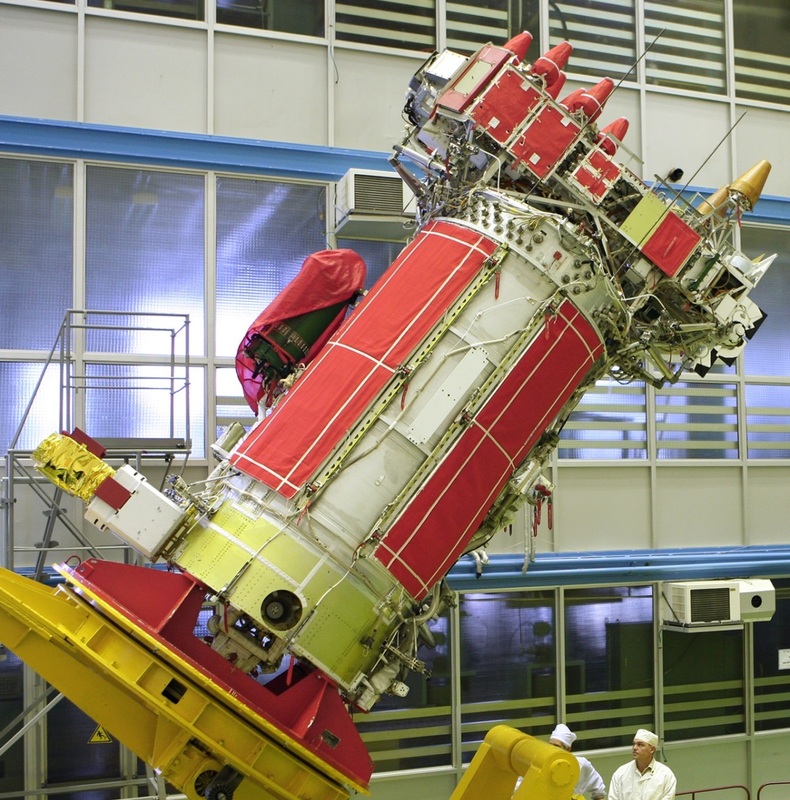 Glonass was pushed close to its limits in recent years after satellites failed to arrive in orbit and operating satellites crept up on the end of their service lives – resulting in older satellites being relied on within the Glonass constellation. At present, Glonass is fully operational with 24 active satellites. Residing in Plane 1 of the constellation are satellites launched between 2009 and 2013, Plane 2 is occupied by spacecraft orbited between 2006 and 2014, and the third Plane hosts satellites launched from 2007 to 2016. 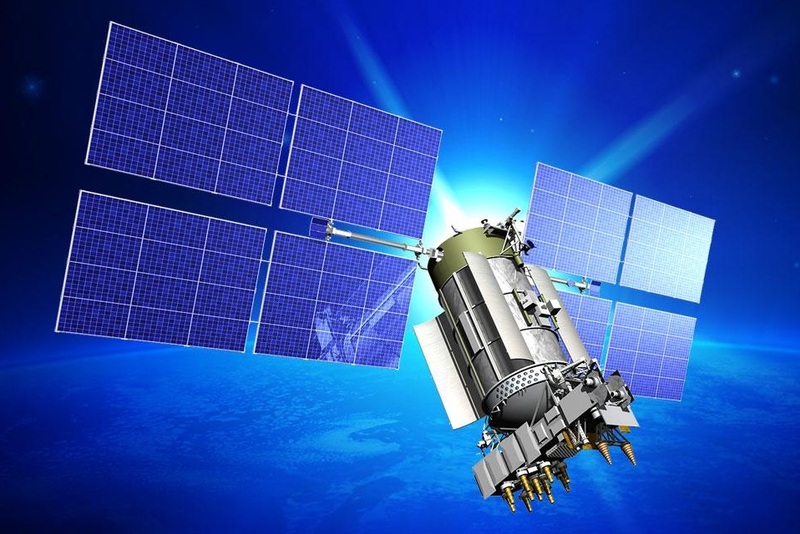 The Glonass-M satellites are designed for an operational mission of seven years and out of the 24 currently active spacecraft, seven have already exceeded their operational lives. Three more are approaching that mark later this year. The newly introduced launch-on-need architecture for the Glonass constellation has been implemented as a cost-saving measure – keeping the constellation operational by replenishing satellites only when needed instead of sticking to a scheduled outline and ending up with more satellites than actually needed (a situation GPS has been in after the deployment of the IIF satellites in recent years). 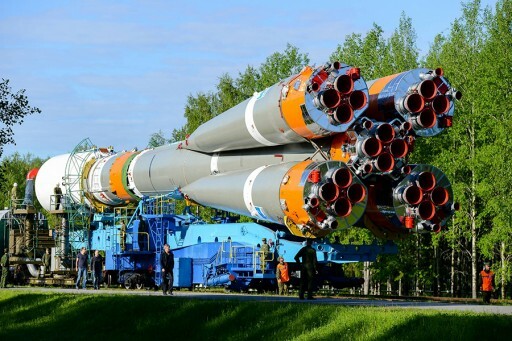 However, given the age of some of the active Glonass satellites, 2016 will likely see four Soyuz missions for Glonass as well as a Proton launch with three satellites that has been tentatively added to the launch manifest. Another factor of reducing the launch pace for Glonass was a finite inventory of Glonass-M satellites available to be launched, requiring careful management to make sure the constellation can remain operational while the improved Glonass-K satellites finish development and production. 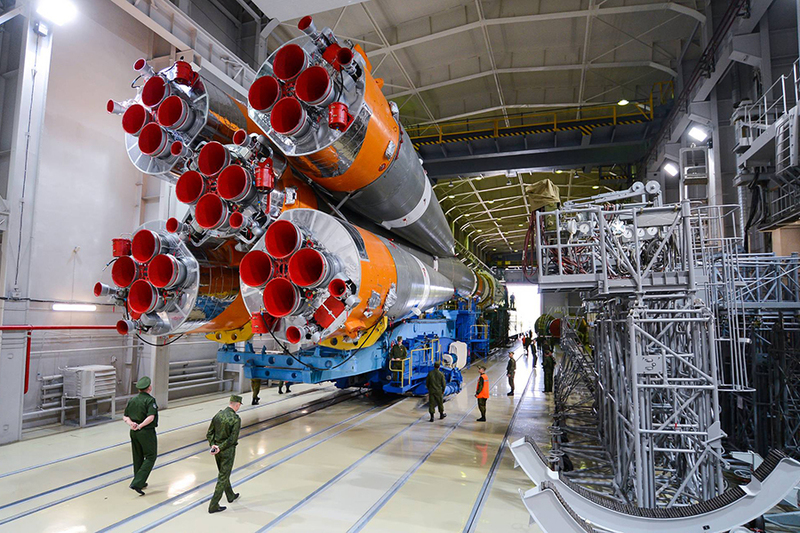 The production of the latest generation of spacecraft was slowed down by sanctions placed over Russia by the West. With a limited number of eight finished satellites currently in stock, operators have to weigh very carefully when to deploy a new satellite. Each Glonass-M satellite is about 2.4 by 3.7 meters in size with a solar array span of 7.2 meters. 12 L-Band antennas are mounted on the satellite along with laser corner-tube reflectors that are used for ranging in order to determine the orbit of the vehicles. The heart of the satellite is a Caesium clock that provides the accurate timing reference needed to generate L-Band navigation signals. The Glonass system provides an accuracy of 100 meters as part of the public segment and 10 to 20 meters for the military users. No information was published regarding the preparation milestones for the mission, though air route closures posted earlier in the week suggested that preparations were on track for a Sunday liftoff. 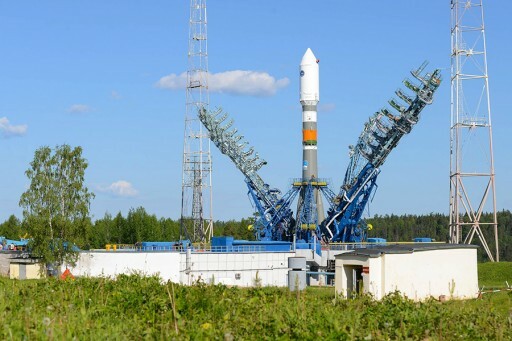 Countdown operations are expected to get underway about eight hours ahead of the planned liftoff time to load the Soyuz rocket with propellants and complete final testing of the rocket at Site 43/4 of the Plesetsk Cosmodrome. Liftoff is set for precisely 08:44:37 UTC and Soyuz 2-1B will complete a nominal ascent mission of over nine minutes, starting with a two-minute burn of its four liquid-fueled boosters. The core stage will continue firing until four minutes and 45 seconds into the flight when the third stage will take over in the typical hot staging sequence. Burning its engine for four and a half minutes, the third stage of the 46-meter tall rocket will be tasked with delivering the Fregat Upper Stage and Glonass satellite into a trajectory that is nearly orbital. With Soyuz lifting the stack to its planned trajectory, it will be up to Fregat to conduct three main engine burns to boost the Glonass-M satellite to its operational orbit over 19,100 Kilometers in altitude. The first burn will be rather short in duration to place the stack into an orbit of about 200 by 240 Kilometers at an inclination of 64.8 degrees. After a short coast phase to set up the proper location for the apogee/perigee of the orbit, Fregat will re-ignite its S5.92 engine on a burn of nine and a half minutes to raise the apogee of the orbit to nearly 19,150 Kilometers before entering a three-hour long coast phase to climb all the way to apogee. Reaching the high point of its elliptical transfer orbit, Fregat performs its third burn, lasting just shy of four minutes to raise the perigee and circularize the orbit at an altitude of 19,130 Kilometers for spacecraft separation a little over three and a half hours after liftoff. Because this launch is a military mission, no webcast will be provided and information released on the progress of the mission will be limited.